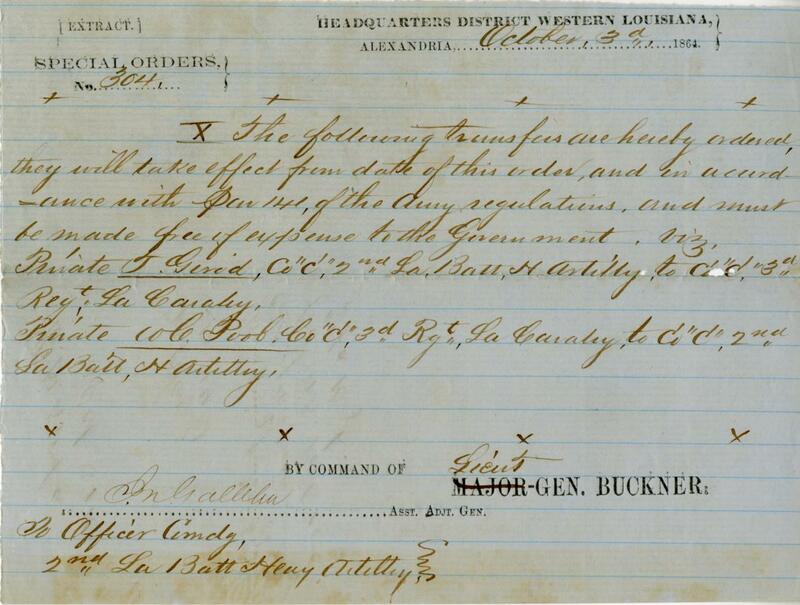 Item Description: Orders issued by order of Lieutenant General Buckner for the transfers of Privates Gerod and Pool. The following transfers are hereby ordered, they will take effect from date of this order and in accordance with Par. 141 of the Army regulations and must be made free of expense to the Government. Viz. John Callihan Asst. Adjt. Gen. This entry was posted in Southern Historical Collection and tagged General Buckner, George William Logan papers, Louisiana. Bookmark the permalink.